Twenty-five years ago I visited the Shri Chakrapani temple in Kumbakonam for the first time. As a Bharata Natyam dancer I have a special interest in this temple as it holds a representation of the 108 karanas. The main sanctum of Vishnu is a beautiful example of later Chola architecture with the shrine build in the form of a chariot with horses and elephants as draft animals. But another feature raised my curiosity. The serving priest told how a day earlier one of the great festivals of the temple had taken place. He explained that at the time of the solstices one of the two doorways leading to the sanctum would be closed and the other opened. At the time of midwinter the northern doorway would be opened and at the time of midsummer the southern doorway. What raised my interest was the fact that the solstice or midwinter had been several weeks earlier. What would be the reason behind this discrepancy? At first I dismissed it as an example of ignorance, but as I came to know more about the Tamil ritual calendar through my collaboration with Raja Deekshithar I became convinced there must be a good reason behind it. Searching together for answers led us to astro-archaeology and some amazing realisations. The Adi month of the Tamil calendar starts this year (2012) on July 16. The 18th day of Adi is celebrated as Adi Perukku. Most festivals in the Hindu calendar are connected to the movements of the moon. They celebrate a tithi, or moon phase, like new moon or full moon, or they are linked to the moon joining a particular nakshatra (lunar mansion). This is a (Vedic) unit of one or more stars on the ecliptic. Because the lunar year is different from the solar year such festivals fall every year on different dates of the calendar. However, Adi Perukku is fixed to a particular (solar) date in the calendar and has no connection to the moon. On Adi Perukku people celebrate the descent of the river Cauvery. The monsoon rains swell the river and the cycle of planting and harvesting begins again. People go to the banks of the river, or another water place, to express their gratitude through worship and celebration. 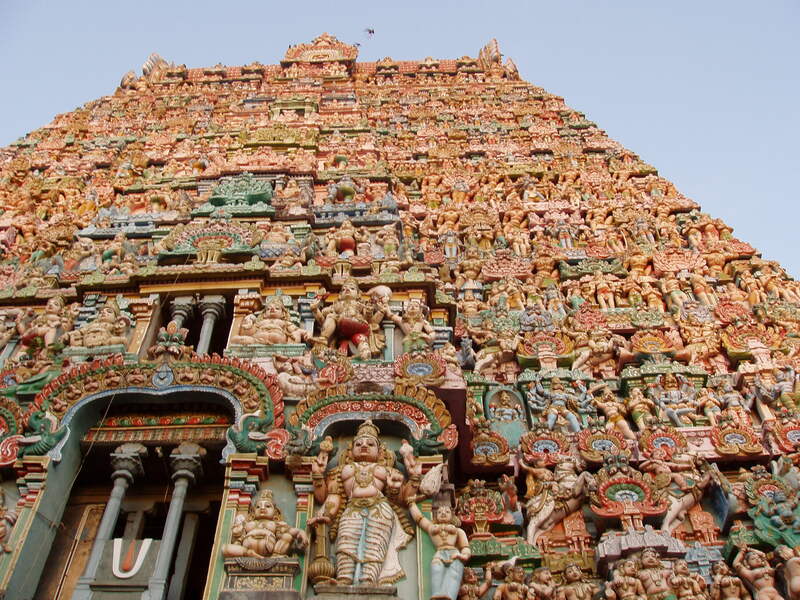 In the city of Kumbakonam there are two temples dedicated to Vishnu, the Shri Sarangapani and the Shri Chakrapani. Both these temples have two doorways connected to the solstices in the same way. From the time of the winter solstice the sanctums are approachable through the northern entrance and from the time of the summer solstice through the southern entrance. This is connected to the two periods of uttarayana or northern course of the sun (midwinter to midsummer), and dakshinayana or southern course of the sun (midsummer to midwinter). In the Tamil ritual calendar uttarayana begins from Makara Samkranti, which was celebrated this year on the 14th of January. The start of dakshinayana is celebrated on Adi Perukku, the festival of the Cauvery River, which falls on the 18th of the Tamil month Adi. This year the 18th of Adi equals the 2nd of August. The difference between actual midwinter on the 21st of December and Makara Samkranti is 24 days. The difference between midsummer on the 21st of June and Adi Perukku is 44 days. What is happening here? At first sight the conclusion might be this ritual calendar doesn’t understand astronomy very well or maybe expresses strange superstitions. The actual reason is this calendar is very ancient indeed and represents a time well over 3000 years ago. To explain this we have to introduce an astronomical phenomenon, called precession. Precession is a movement of the axis of the earth which results in a slight shift in the point of sunrise and sunset relative to the fixed stars of the ecliptic. Every year this point shifts 50 second of a degree relative to the stars in the opposite direction from the yearly movement of our sun. The sun shifts its rising and setting point 1 degree every day along the band of the ecliptic, and comes back to the same point after one year. That is how we understand the solar year and recognize the zodiac. But in actual reality the sun doesn’t come back to exactly the same point after one year. The sun stays behind just a little bit. So today the sunrise at midwinter occurs in the constellation Dhanus/Sagitarius. Two thousand years ago it occurred in the constellation Makara/Capricorn. The amount of this shift over time is a well known astronomical value. Therefore we can calculate exactly where the point of midsummer and midwinter would have occurred on the ecliptic at any time in the past. The Tamil calendar is a sidereal calendar which means it is fixed to the stars. As the stars shift very slowly relative to the seasons due to precession and we know that the rate of this shift is approximately 72 years for 1 degree, we can calculate the time reflected by the date of the festivals in the Tamil calendar because one degree shift more or less equals one day later in the calendar: 360 degrees of the circle equals 365 days of the year. The 24 days difference between the winter solstice and Makara Samkranti shows this festival was fixed to this date around 1728 years ago. The 44 days difference between the summer solstice and Adi Perukku shows this festival was originally established 3168 years ago. Our conclusion must be the Tamil ritual calendar was already functioning in 1000 BCE. There may some who maintain no such sophisticated civilisation existed so early in time in Tamil Nadu. But we can present supporting proof. Adi Perukku is also the festival of the river Cauvery when the coming of the rains, the overflowing of the river and the beginning of a new planting season is celebrated. Now the start of the monsoon generally lies around the beginning of June, and around the third week of June the river starts filling with water arriving from its upper reaches. So there is a natural relationship between midsummer, the arrival of the rains and the river descending. As the ritual calendar fixes this event on the 18th of Adi, and this is today the 3rd of august, the explanation is this date has shifted due to precession. Adi is also connected to ancestor worship. Traditionally the period from midsummer to midwinter is also called the pitryana or path of the ancestors. The summer solstice is an auspicious moment to perform rituals for the ancestors. The relationship between the month of Adi and ancestor worship shows this month was once associated with the beginning of the southern course of the sun. 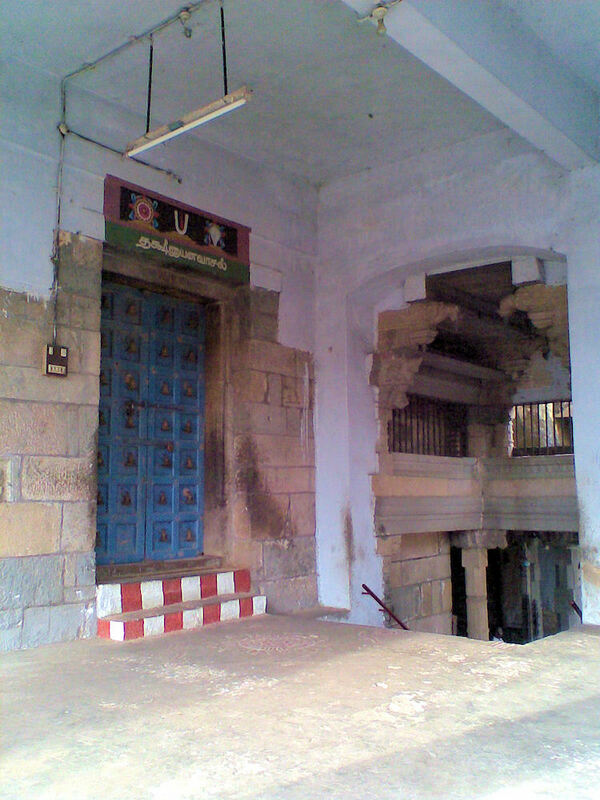 The ritual of opening and closing of the two doorways in the Sarangapani and Chakrapani temples in Kumbakonam thus reflects a time really very long ago through the Tamil calendar. These festivals are treasures from a long ago past ‘unearthed’ by an Archaeology of Time made possible by the accuracy of the ancient time keepers and the deep astronomical knowledge recorded in the Tamil ritual calendar. Tamil: the language spoken by the people in South-East India. An ancient laguage representing an ancient culture of southern India. Adi Perukku: a festival celebrated on the 18th of the month Adi of the Tamil calendar. Tamil people celebrate the descend of the river Cauvery, the summer solstice, the arrival of the monsoon rains and the beginning of the agricultural season. Adi Perukku is also celebrated on the 28th of Adi, especially in the Nataraja temple in Chidambaram. This indicates and even earlier date! Thai masam: the month in the Tamil Calendar when the sun resides in the sign of Makara/Capricorn, from mid-january to mid-february. Uttarayana: the northern course of the sun, between midwinter and midsummer. Dakshinayana: the southern course of the sun, between midsummer and midwinter. Cauvery: the largest and most sacred river of Tamil Nadu. Bharata Natyam: South Indian classical dance. 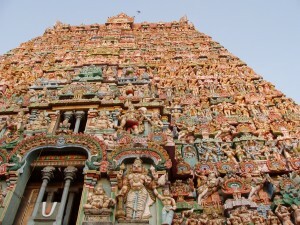 Kumbakonam: temple city in Tamil Nadu.